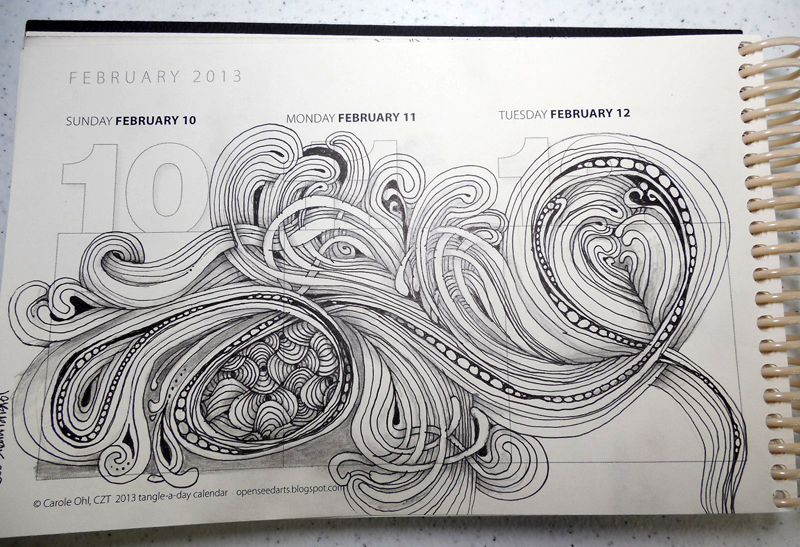 "This 2013 year of Snake is meant for steady progress and attention to detail. Focus and discipline will be necessary for you to achieve what you set out to create." I found the above online after I had finished my Diva challenge yesterday. I had so much fun using the snake as a string. 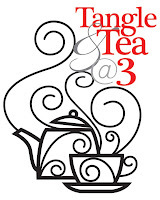 I hadn't worked in my Tangle-a-Day calendar for a couple weeks, so yesterday's Tangle and Tea session at the bead store was the perfect opportunity to be in a tangled flow. One of the great things about our Thursday sessions is all the people who show up! If you're stuck on a decision about what tangle to use next, you can just say "somebody say a tangle", and there you have it! I had already chosen Warped Eggs as my first filler, and was at a loss for the next. Peg Farmer said Mooka, and then I couldn't stop. It covered every remaining spot. 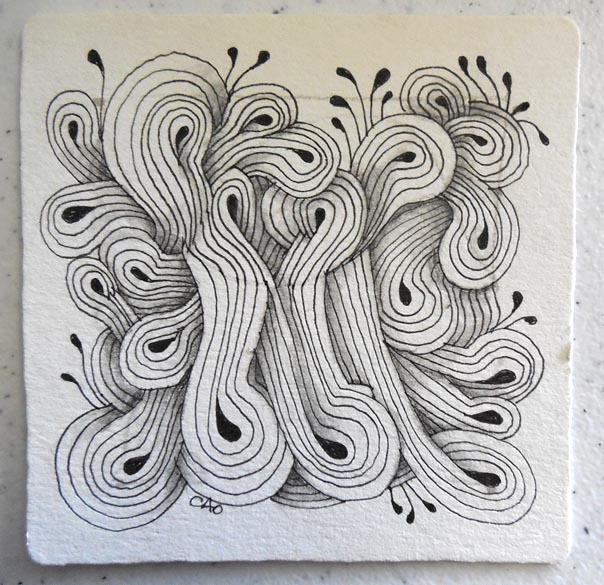 Sometimes the tendrils went very far out, sometimes they stayed in their cocoon. This morning I allowed myself some time before my day revved up to do the shading. It was like I was having the same fun all over again! I love to shade, especially if it's very intricate. There is always something to miss, so there is always something to find! I especially love that part. This brings me to the above info about the year of the Snake. Some of the tanglers at yesterday's session hadn't seen how this piece started, so when they looked at it finished, a couple were a little daunted. I always say, "one stroke at a time" and with this one: "steady progress and attention to detail. 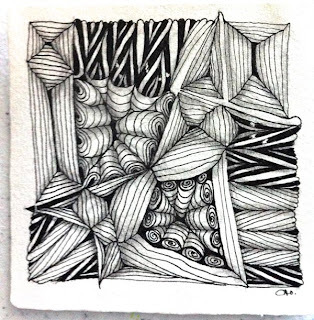 Focus and discipline..."
After I did each Mooka section, I puffed it out where all the corners lined up, as I often like to do with different tangles. So much fun. I think we might do a Mooka-Fest class in the near future. There are so many possibilities with this one! Today I really want to write about the synchronous events that have been in my face in the last couple days. As with most of these stories, they are long and winding and very personal, so I will spare you all! Suffice it to say that even this week's Diva post led me to some really interesting signs and for that I am most grateful. 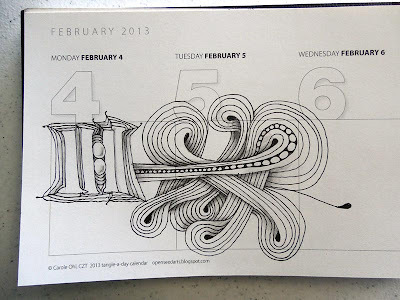 Speaking of the Diva, which we often do in these Zentangle circles, this week she is giving away a Tangle-a-Day Calendar, not only on her blog, but on her Facebook page. Check it out for a chance to win one for yourself or a friend. 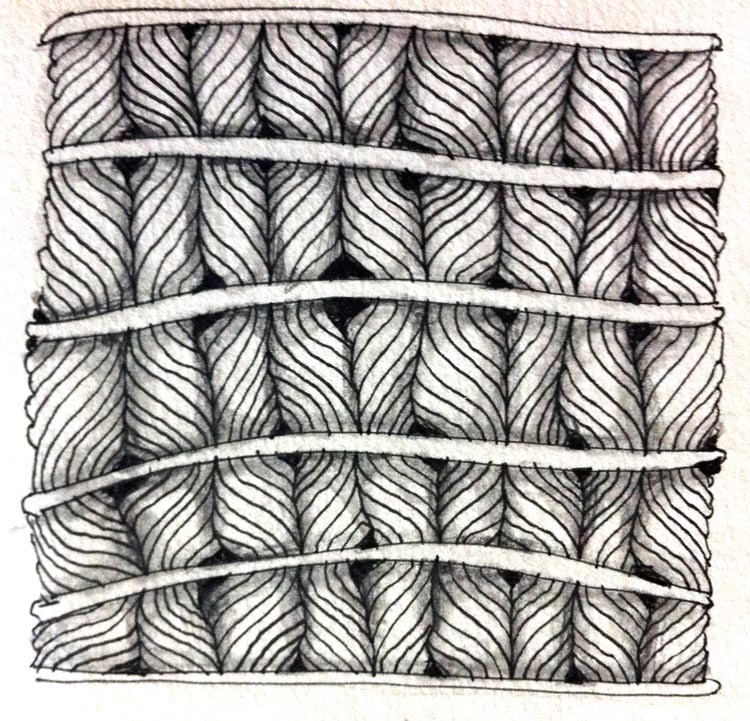 Laura also presented this week's challenge, which is to use Margaret Bremner's awesome tangle, Dansk. I love every aspect of this tangle. 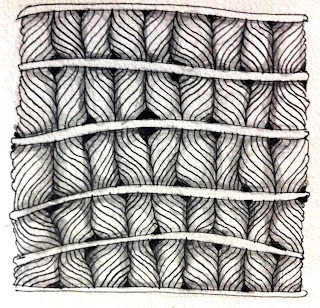 It has a smooth rhythm, it can go behind, interweave with itself, and is a blast to shade! One of the little threads of my synch events is that Laura, Margaret and I all attended the third CZT seminar together. 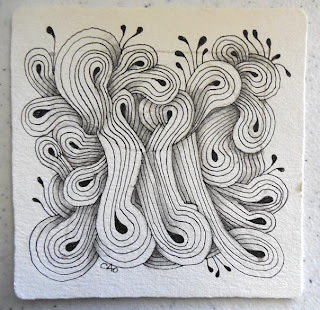 Even though we barely got to know each other at that time, I feel blessed and grateful that since then, through the magic of cyberspace and the love of Zentangle, we may 'know' each other a little better now. I love them both and am happy to be dansking with them in the same Diva post this week. Thank you Laura, Margaret, and all the Zentangle family, which includes YOU if you are reading this. I love when someone gives me a string. It's like you get to play in someone else's house: they've done all the cleaning and prep and you just have to show up and play. Not that strings are a chore, of course, but some days that's the first point of entry into the process, and my lists and left brain haven't gotten the full message that they can now take a break, and my critical side starts poking at me. That's why I love using the Zentangle prestrung tiles. 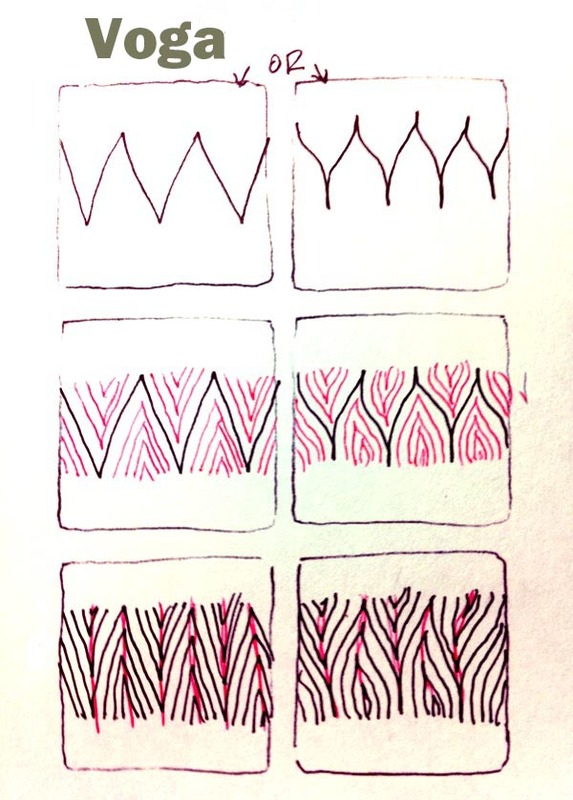 I can more easily bypass the pressure of starting something new and go right to the flow. In all this playing, I think a tangle may have emerged. I hesitate to say that as there are so many new ones popping up, that surely this has been done. However, if not, I went ahead and named it and provided the step-outs. 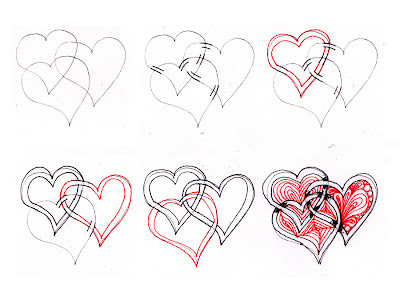 You can use a straight line (left) or a curvy line (right) "V" shape. 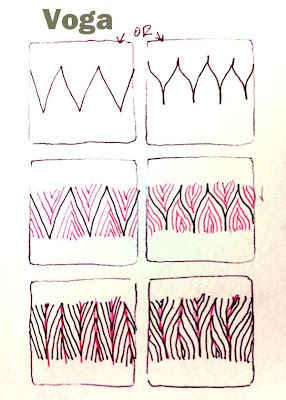 Remember when you 'puf', resist the urge to draw a line straight through the point. Move slowly to let the line dance from one point to the next. 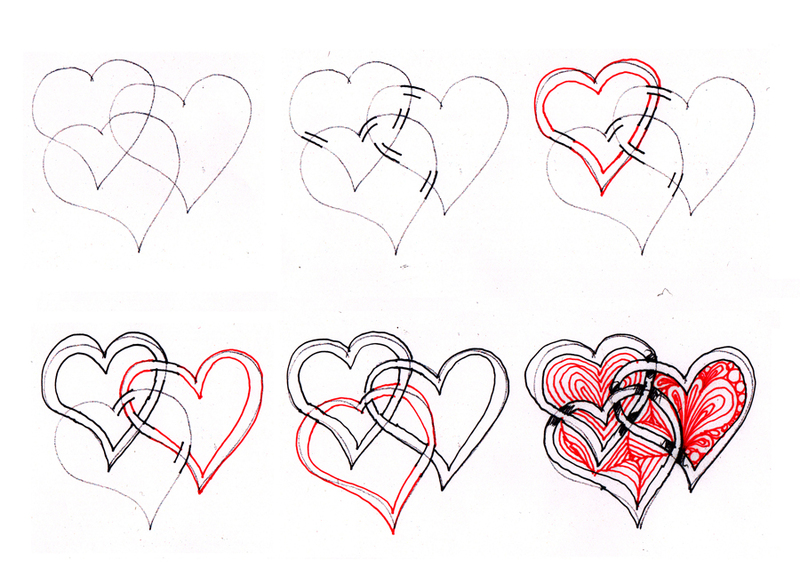 This example is the curved version. As each day rolls on, we get a chance to feel our way to each next step. The past year has been full of intensely paying attention to where I'm being asked to step next. I had no idea this time last year that I'd be the steward of a bead store and all that comes with it. But I know without a doubt it's where I'm supposed to be, even though I can't really know all the purpose of it. It feels pretty big, though, like a huge communal pull of some kind. The day to day events of the store are pretty much led by what our customers ask for. We do what they want to do, and hope that it's something we also like to do! Well, they are now coming into the bead store and asking for Zentangle classes. 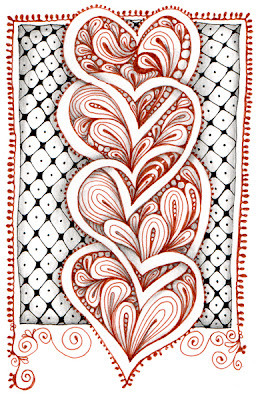 Of course there is Zentangle all over the place in here, just because we can't help ourselves. (Our restroom is an actual gallery!) Adding Zentangle to our class schedule was an organic decision, just as stocking a new color of beads is an organic decision. 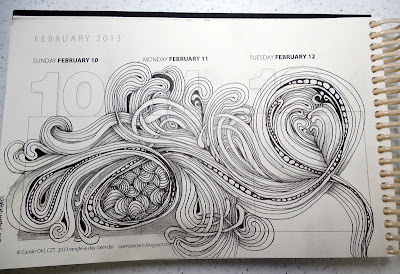 I've had a little difficulty finding the time to sit and tangle at a particular time. 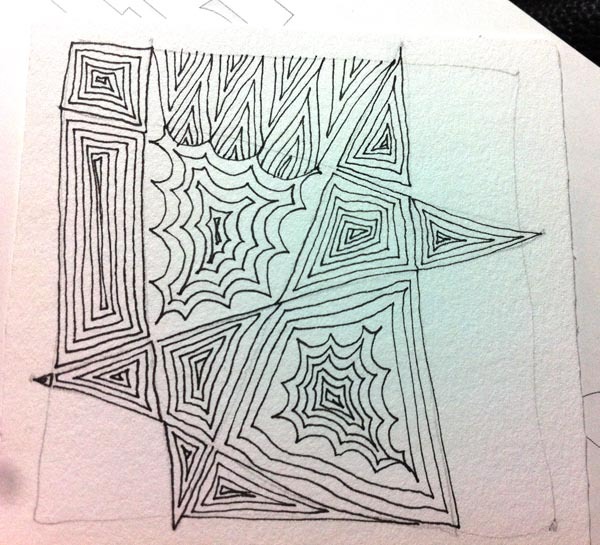 Just as not knowing how a Zentangle tile will develop when you sit to do one, so it is with most of my day. 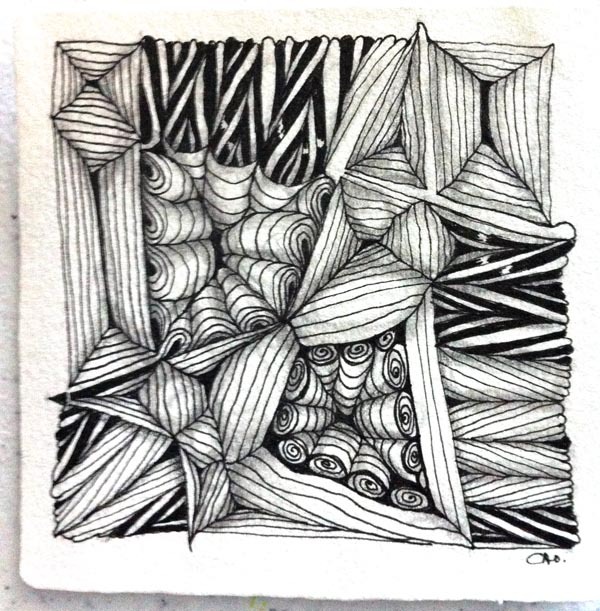 But as all things are in their place at all times, it just so happens that now we have enough interest in Zentangle to create a designated time (now that we have the space!) for tanglers to gather and have some fun. 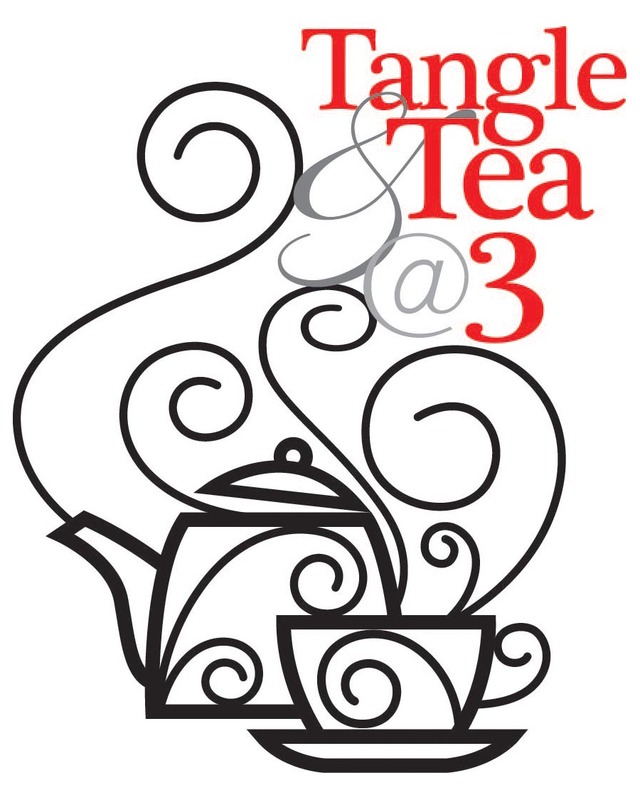 Every Thursday afternoon, Stash will host Tangles and Tea at 3. No need to call ahead, just show up with your favorite tangle supplies. We'll supply the tea and coffee. It's all free. I'm hoping that this quiet time will be my own time to sit and be with my favorite art form.